In the early 1970s, Tulsa, Valley View was running 400 in Sunday School. Then the neighborhood began to transition, and membership spiraled downward. “When the church was founded as a mission of Tulsa, Nogales Avenue 52 years ago, the neighborhood was different than it is today,” said Verne McCabe, who has been Valley View’s bivocational pastor the last four years. Although the neighborhood has transitioned dramatically over the last 35 or so years, when McCabe came to Valley View, the church began to reach out to the neighborhood with a Bible Club on Sunday afternoons. McCabe said also in the past three years, the church has sponsored Vacation Bible Schools, which have grown each year. “We didn’t have enough people to do them, but we’ve had other churches come in and help us,” he said. The first year, the Inola, First youth minister brought a team of youth to do Bible school, which was attended by about 35 children. The next year, a group from Clinton, First came to help teach about 50 kids. And last year, a team from Norman, Berry Road reached 75 kids. McCabe said during the three-year period, there were 15 professions of faith, and he baptized eight of them. McCabe said since he’s been pastor, they have had some growth, but with deaths, people moving to nursing homes or assisted living and moving out of the community due to job changes, they have had a precipitous decline due to the age of the congregation. McCabe said they came up with the idea of looking for someone to share the building with, and he met Dale Rolland, pastor of Concord Community Church, a new church plant started about four years ago and meeting in the former BCM building adjacent to Tulsa Community College northeast campus. Valley View experienced a joint worship service with Concord in April, and the Concord congregation was scheduled to worship with Valley View at its location in May. So it was a surprise to members of Concord when McCabe on May 17 announced Valley View was going to disband and give its building to them. “The pastor knew about the transfer, but his people didn’t,” McCabe explained. Valley View’s last service will be June 28, and the Concord congregation will occupy the building July 5. McCabe, who owns a business with his father, said he is looking forward to the Lord providing another way for him to minister. 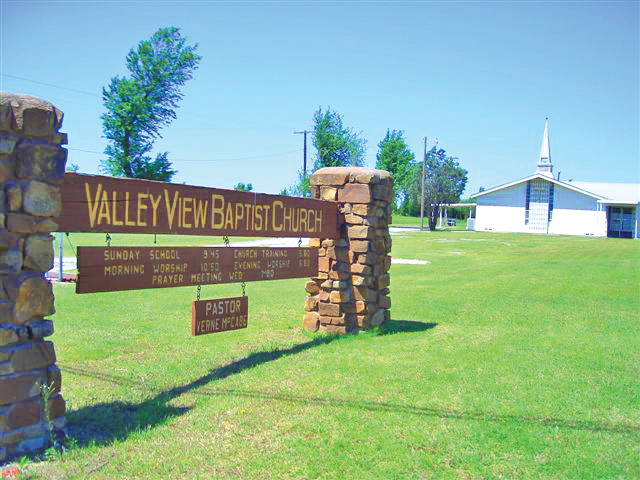 Prior to his first pastorate at Valley View, he served in bivocational music ministry for more than 35 years since his days at Oklahoma Baptist University. He said his last position was as music minister at Broken Arrow, Indian Springs where he served for 10 years until he developed vocal nodes, and God opened the door to pastoral ministry. McCabe emphasized that Valley View is not going away; it’s merely changing its complexion.